Fallen arches, or flatfoot, is a condition in which the arch on the inside of the foot is flat and the entire sole of the foot rests on the ground. It affects about 40% of the general population. Although flat feet in themselves are not usually problematic, they can create problems in the feet, hips, ankles and knees. Pain may be experienced in the lower back if there are alignment problems and if the individual is engaged in a lot of heavy, high impact activities that put stress on the bones and muscles in the lower legs. The arches of most individuals are fully developed by the age of 12 to 13. While some people are born with flat arches, for others the arches fall over time. The tibial tendon, which runs along the inside of the ankle from above the ankle to the arch, can weaken with age and with heavy activity. The posterior tendon, main support structure for the arch, can become inflamed (tendonitis) or even tear if overloaded. For women, wearing high heels can affect the Achilles tendon and alter the structure and function of the ankle. The posterior tibial tendon may compensate for this stress and break down, causing the arches to fall. Obesity is another contributing factor, as well as a serious injury to the ankle or foot, arthritis and bad circulation such as occurs with diabetes. People will have a very heavily dropped arch and it won?t affect them at all and people will have it slightly dropped and it could cause fierce problems. It could cause things like plantar fasciitis, it could cause heel spurs, desperate ball-of-the-foot pressure, or pressure on the big toe known as the hallux which causes discomfort in the foot. It will create problems upwards to the knees, hips and the back once you?re out of line. Your doctor will ask about your symptoms and medical history. A physical and foot exam will be done. Flat feet can be diagnosed by appearance. To determine if the foot is rigid, you may be asked to do some simple tasks. Fallen arches lead to flat feet, where the arch of your foot collapses and may even touch the ground. This condition is common in infants and young children because your arches are still developing during childhood, says the Instep Foot Clinic. If your flat feet persist into adulthood, or the condition causes pain, a doctor or podiatrist may prescribe strengthening exercises as part of your treatment. Plantar fasciitis is an inflammation of the long band of connective tissue running from the heel to the ball of the foot. The plantar fascia acts like a bowstring and supports the arch and several muscles inside the foot. When there is increased stress on the arch, microscopic tears can occur within the plantar fascia, usually at its attachment on the heel. This results in inflammation and pain with standing and walking and sometimes at rest. Many things can cause heel pain. Most commonly seen at our Troy, MI office are heel spurs, which are small growths on the heel bone. Heel pain can be caused from heavy activities and increased weight that put extra pressure on feet. Dr. Weinert often treats heel pain in athletes, runners and women who are pregnant. There are other cases where Dr. Weinert has related a patient?s heel pain to arthritis, stress fractures, fractures, bone tumors, cysts, achilles tendonitis and Haglund's deformity. The main cause of heel pain is usually a biomechanical problem in the foot and it?s, in a nutshell, having a foot out of alignment. There are numerous conditions. One of the most prevalent is called talotarsal dislocation syndrome. What that is in lay terms is you?ve just got a misalignment of your ankle on your heel and as you bear weight you?re getting a collapse of the ankle on the heel causing the foot to be out of alignment. So the plantar fascia, bones, joints, and ligaments receive constant stress. This stress occurs at the point where the plantar fascia (the major tissue that connects your toes to your heel) meets the heel. Many patients explain the pain as being in the middle of the inside of the heel. As a patient bears weight, they get the collapse of the foot and that ligament pulls. And if you think of a rubber band constantly getting pulled on that area of the insertion on the heel, you eventually start getting some micro tears in that ligament and causing inflammation and pain specifically right there in middle area of the heel. Plantar fasciitis is also a common source of heel pain. The plantar fascia, a band of tissue that runs from your heel to your toes, can become strained and inflamed due to overuse and wear and tear. This band of tissue can only withstand so much pressure and when it gives way, the pain can be severe and requires immediate and effective treatment. Treatment for plantar fasciitis - the vast majority of patients recover with conservative treatments (designed to avoid radical medical therapeutic measures or operative procedures) within months. Heel with ice-pack. Home care such as rest, ice-pack use, proper-fitting footwear and foot supports are often enough to ease heel pain. Non-steroidal anti-inflammatory drugs (NSAIDs) - medications with analgesic (pain reducing), antipyretic (fever reducing) effects. In higher doses they also have anti-inflammatory effects, they reduce inflammation (swelling). Non-steroidal distinguishes NSAIDs from other drugs which contain steroids, which are also anti-inflammatory. NSAIDs are non-narcotic (they do not induce stupor). For patients with plantar fasciitis they may help with pain and inflammation. Corticosteroids, a corticosteroid solution is applied over the affected area on the skin; an electric current is used to help absorption. Alternatively, the doctor may decide to inject the medication. However, multiple injections may result in a weakened plantar fascia, significantly increasing the risk of rupture and shrinkage of the fat pad covering the heel bone. Some doctors may use ultrasound to help them make sure they have injected in the right place Corticosteroids are usually recommended when NSAIDs have not helped. Physical therapy, a qualified/specialized physical therapist (UK: physiotherapist) can teach the patient exercises which stretch the plantar fascia and Achilles tendon, as well as strengthening the lower leg muscles, resulting in better stabilization of the ankle and heel. The patient may also be taught how to apply athletic taping, which gives the bottom of the foot better support. Night splints, the splint is fitted to the calf and foot; the patient keeps it on during sleep. Overnight the plantar fascia and Achilles tendon are held in a lengthened position; this stretches them. Orthotics, insoles and orthotics (assistive devices) can be useful to correct foot faults, as well as cushioning and cradling the arch during the healing process. Extracorporeal shock wave therapy, sound waves are aimed at the affected area to encourage and stimulate healing. This type of therapy is only recommended for chronic (long-term) cases, which have not responded to conservative therapy. Patients with neuroma may develop pain on the bottom of the forefoot, most commonly under the 3rd and 4th toes, though any toe may be affected. The pain may be dull and mild or severe and sharp. The toes may feel ?numb? as times, especially the area between the 3rd and 4th toes. A classic complaint is that patients feel as if they are ?walking on a stone or pebble? and/or ?feel as if the sock is rolled up in the shoe.? Pain is often worse when walking barefoot. Morton's neuroma is usually diagnosed by your doctor listening to your symptoms and examining your foot. Sometimes your doctor can feel the 'neuroma', or an area of thickening in your foot, which may be tender. Sometimes, your doctor may suggest an ultrasound scan or MRI scan to confirm the diagnosis but this is not always necessary. Some doctors inject a local anaesthetic into the area where you are experiencing pain. If this causes temporary relief of pain, burning and tingling, it can sometimes help to confirm the diagnosis and show the doctor where the problem is. Sclerosing alcohol injections are an increasingly available treatment alternative if the above management approaches fail. Dilute alcohol (4%) is injected directly into the area of the neuroma, causing toxicity to the fibrous nerve tissue. Frequently, treatment must be performed 2-4 times, with 1-3 weeks between interventions. An 60-80% success rate has been achieved in clinical studies, equal to or exceeding the success rate for surgical neurectomy with fewer risks and less significant recovery. If done with more concentrated alcohol under ultrasound guidance, the success rate is considerably higher and fewer repeat procedures are needed. Radio Frequency Ablation is also used in the treatment of Morton's Neuroma The outcomes appear to be equally or more reliable than alcohol injections especially if the procedure is done under ultrasound guidance. There are actually not one but two unique variations of leg length discrepancies, congenital and acquired. Congenital indicates that you are born with it. One leg is anatomically shorter in comparison to the other. As a result of developmental periods of aging, the brain picks up on the step pattern and recognizes some difference. The entire body typically adapts by tilting one shoulder over to the "short" side. A difference of less than a quarter inch is not grossly excessive, require Shoe Lifts to compensate and commonly won't have a profound effect over a lifetime. Leg length inequality goes mainly undiscovered on a daily basis, yet this problem is very easily solved, and can eradicate quite a few incidents of back ache. Therapy for leg length inequality usually involves Shoe Lifts. Many are low cost, often being below twenty dollars, compared to a custom orthotic of $200 or more. Differences over a quarter inch can take their toll on the spine and should probably be compensated for with a heel lift. In some cases, the shortage can be so extreme that it requires a full lift to both the heel and sole of the shoe. Back pain is the most widespread health problem afflicting people today. Over 80 million people suffer from back pain at some stage in their life. It is a problem which costs companies millions of dollars annually as a result of time lost and productivity. Fresh and improved treatment methods are continually sought after in the hope of minimizing the economic influence this condition causes. People from all corners of the world suffer from foot ache due to leg length discrepancy. In these situations Shoe Lifts can be of very beneficial. The lifts are capable of reducing any discomfort and pain in the feet. Shoe Lifts are recommended by countless qualified orthopaedic orthopedists. So that they can support the body in a balanced fashion, the feet have a vital role to play. Inspite of that, it's often the most overlooked region of the human body. Many people have flat-feet meaning there may be unequal force exerted on the feet. This causes other body parts such as knees, ankles and backs to be affected too. Shoe Lifts make sure that suitable posture and balance are restored. There are actually not one but two different types of leg length discrepancies, congenital and acquired. Congenital implies you are born with it. One leg is anatomically shorter compared to the other. Through developmental stages of aging, the human brain picks up on the step pattern and identifies some variation. Your body typically adapts by dipping one shoulder to the "short" side. A difference of less than a quarter inch isn't grossly uncommon, require Shoe Lifts to compensate and generally does not have a serious effect over a lifetime. Leg length inequality goes mainly undiscovered on a daily basis, yet this issue is simply corrected, and can eradicate numerous cases of back problems. Therapy for leg length inequality usually consists of Shoe Lifts. Most are very reasonably priced, often priced at under twenty dollars, in comparison to a custom orthotic of $200 or maybe more. Differences over a quarter inch can take their toll on the spine and should probably be compensated for with a heel lift. In some cases, the shortage can be so extreme that it requires a full lift to both the heel and sole of the shoe. Upper back pain is easily the most common ailment afflicting people today. Over 80 million people experience back pain at some point in their life. It's a problem which costs businesses millions of dollars yearly as a result of time lost and productivity. Innovative and better treatment solutions are constantly sought after in the hope of reducing the economical influence this issue causes. People from all corners of the earth suffer the pain of foot ache due to leg length discrepancy. In most of these cases Shoe Lifts are usually of worthwhile. The lifts are capable of eliminating any discomfort and pain in the feet. Shoe Lifts are recommended by many expert orthopaedic practitioners". To be able to support the human body in a nicely balanced manner, your feet have a critical function to play. Inspite of that, it is often the most overlooked zone in the human body. Many people have flat-feet meaning there is unequal force exerted on the feet. This causes other body parts such as knees, ankles and backs to be impacted too. 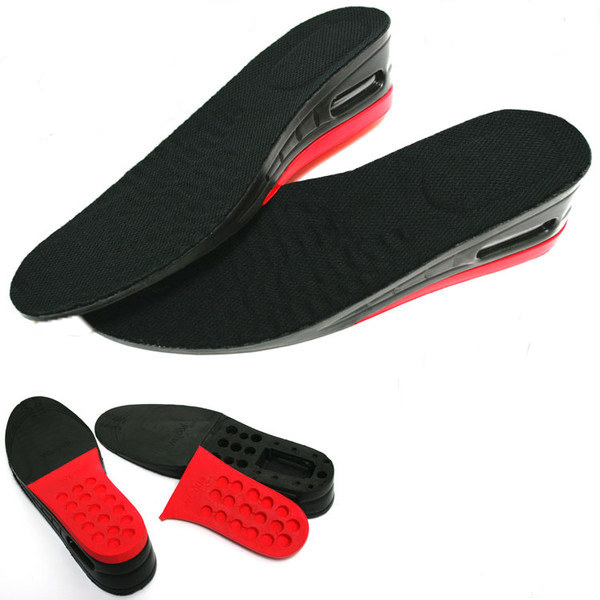 Shoe Lifts guarantee that correct posture and balance are restored. There are two unique variations of leg length discrepancies, congenital and acquired. Congenital implies that you are born with it. One leg is anatomically shorter than the other. Through developmental periods of aging, the brain senses the walking pattern and identifies some variation. Your body typically adapts by dipping one shoulder to the "short" side. A difference of less than a quarter inch isn't blatantly abnormal, doesn't need Shoe Lifts to compensate and mostly doesn't have a serious effect over a lifetime. Leg length inequality goes largely undiagnosed on a daily basis, however this condition is very easily remedied, and can eradicate numerous incidents of back ache. Therapy for leg length inequality typically involves Shoe Lifts. Most are very inexpensive, commonly being less than twenty dollars, compared to a custom orthotic of $200 plus. When the amount of leg length inequality begins to exceed half an inch, a whole sole lift is generally the better choice than a heel lift. This prevents the foot from being unnecessarily stressed in an abnormal position. Chronic back pain is easily the most common ailment afflicting people today. Around 80 million men and women experience back pain at some point in their life. It is a problem which costs companies millions every year due to lost time and output. Innovative and superior treatment solutions are always sought after in the hope of reducing the economic impact this condition causes. Men and women from all corners of the earth suffer from foot ache as a result of leg length discrepancy. In these types of cases Shoe Lifts might be of worthwhile. The lifts are capable of relieving any pain in the feet. Shoe Lifts are recommended by countless certified orthopaedic physicians. So as to support the body in a well-balanced manner, feet have got a critical task to play. Irrespective of that, it's often the most neglected region in the body. Many people have flat-feet meaning there may be unequal force placed on the feet. This will cause other areas of the body like knees, ankles and backs to be affected too. Shoe Lifts make sure that the right posture and balance are restored. The key to prevention is to wear shoes that fit you properly and provide plenty of room for your toes. Here?s how to get the right fit. Have your feet properly measured. The best way to do this is to get someone to draw the outline of your foot while you stand barefoot with your full weight on it, then measure the outline at hammertoes the widest point. Measure the soles of your shoes. Ideally, they should be as wide as your feet, but certainly no more than half an inch narrower. Length matters, too, of course: your shoes should be half an inch longer than your longest toe. The original definition of a bunion was a bursa (a fluid-filled sac) on the side of the foot near the base of the big toe. The bursa was caused by a chronic friction of the patient's first metatarsal bone (the bone to which the big toe attaches) and the shoe. Few people go by this definition any longer. Today most people consider a bunion to be the enlarged bone on the side of the foot that typically caused the bursa. Along with this bump, there is usually an associated mis-alignment of the big toe, with it leaning in towards the second toe. In medical jargon, the term for a bunion is "Hallux Abducto Valgus," or "HAV" for short. 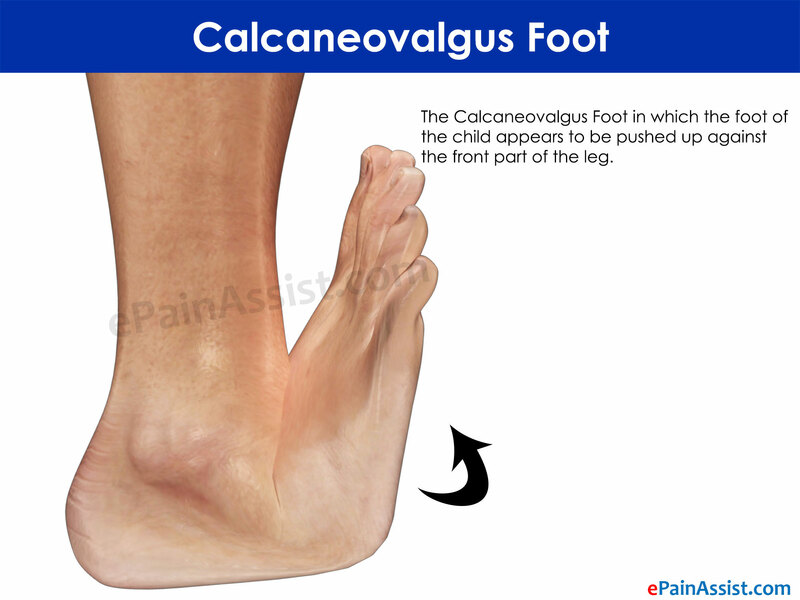 Though the condition is really slightly different, it may also be known as "Hallux Valgus." Bunions are usually a progressive problem, and can make it difficult to find shoes that fit. The condition is often quite uncomfortable, not only because of the pressure the shoes exert on the bump, but because of the other factors associated with bunions, which we shall discuss shortly. This is usually a progressive problem, and can make it difficult to find shoes that fit. The condition is often quite uncomfortable, not only because of the pressure the shoes exert on the bump, but because of the other factors associated with bunions, which we shall discuss shortly. Symptoms include redness, swelling and pain which may be present along the inside margin of the foot. The patients feet may become too wide to fit into their normal size shoes and moderate to severe discomfort may occur when the patient is wearing tight shoes. A "hammer toe" may occur at the 2nd toe. This is when the toe contracts and presses on the shoe. Subsequently, this may cause a corn on top of the 2nd toe. The choice of treatment for a bunion lies between non-operative (conservative) and operative treatment. Conservative treatment for a bunion means either wearing wider fitting shoes or shoes with softer leather or using some form of a spacer between the big toe and 2nd toe (or alternatively some form of splint to keep the great toe away from the 2nd toe). The spacers or splintage may apparently straighten the bunion but they make no difference to the width of the foot, and the splaying of the 1st and 2nd metatarsals which occur with a bunion deformity. Therefore this type of treatment will not improve the main pain in a bunion which occurs due to the width of the forefoot. An arch type support orthotic may be useful if a bunion is associated with a flatter foot. If you have a bunion this is however just one other thing to get into a shoe with an already wide foot. The decision to have bunion surgery is personal and different everyone. While there are many reasons to have bunion surgery, the most common reasons include. Pain. Difficulty walking. Difficulty fitting shoes. Worsening bunion. Pain at the ball of the foot. Failed conservative measures. See Non-surgical Treatment. Some people have surgery simply because they don?t like the way the bunion looks. While some doctors may correct your bunion if it doesn?t hurt, you should be aware that permanent pain may occur after your surgery.